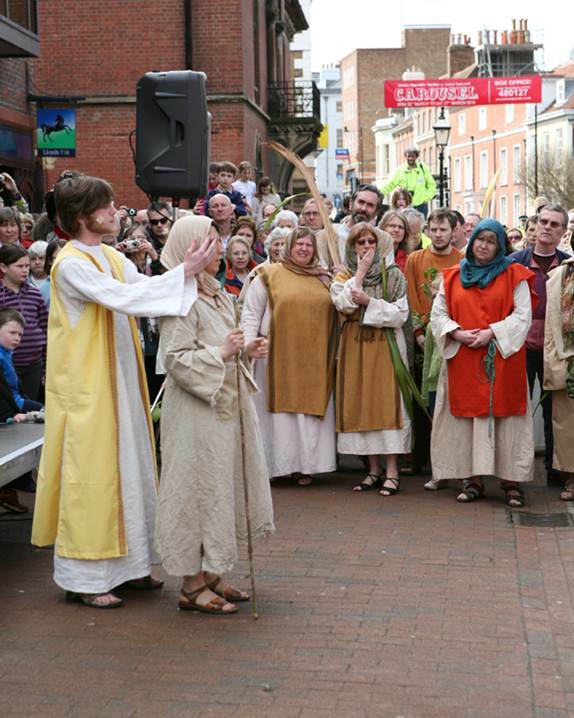 As you may know in the Middle Ages many town guilds brought to life in performance and celebration Bible stories, to mark feast days such as Corpus Christi. 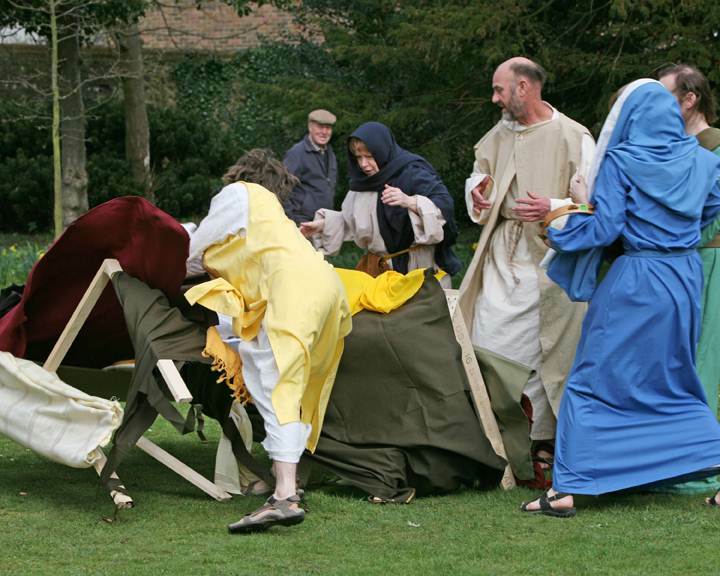 A full cycle of plays such as those in York, contains 48 plays but we propose just 4! 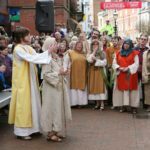 Performed often from carts or trucks they were a means of engaging the audience with universal themes and ‘larger than life’ characters, bringing Christianity out of the churches and to the ‘common people’. 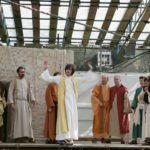 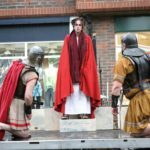 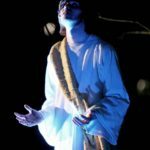 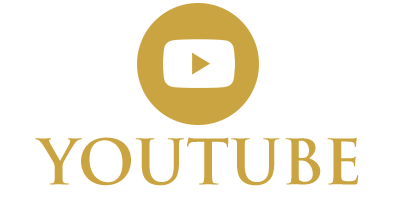 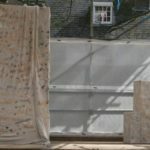 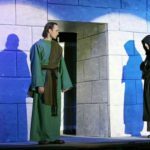 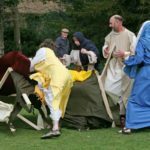 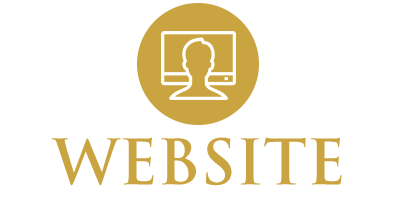 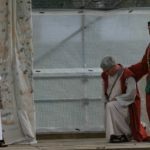 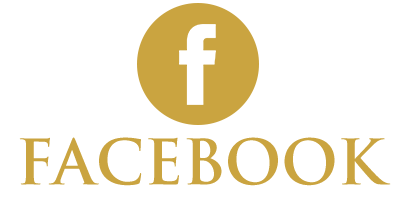 The Passion Play in Lewes used the stories of Creation with the fall of Lucifer and the fall of Man, the rivalry between Cain and Abel, Noah and the Flood and then the moving faithfulness shown in the story of Abraham and Isaac. 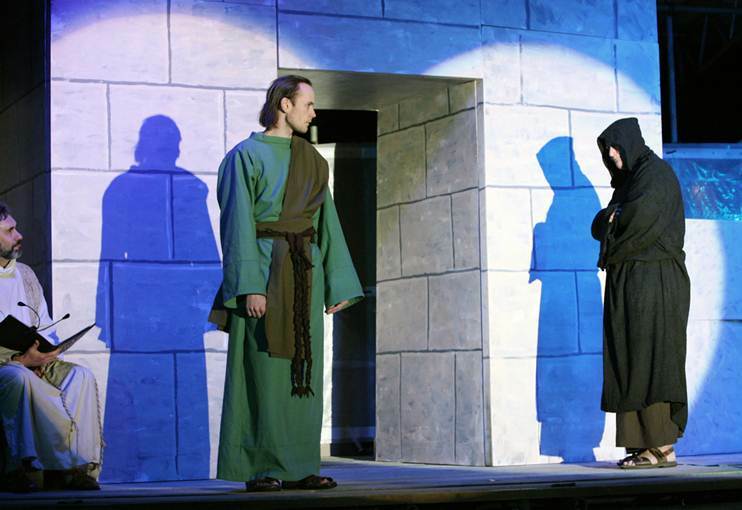 Together these plays formed a prequel to the Passion Play in 2015. 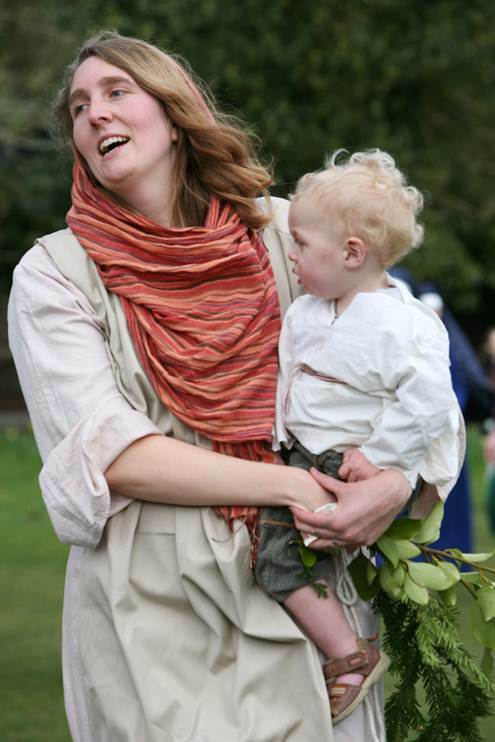 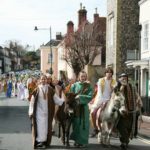 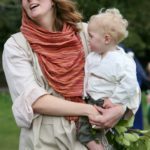 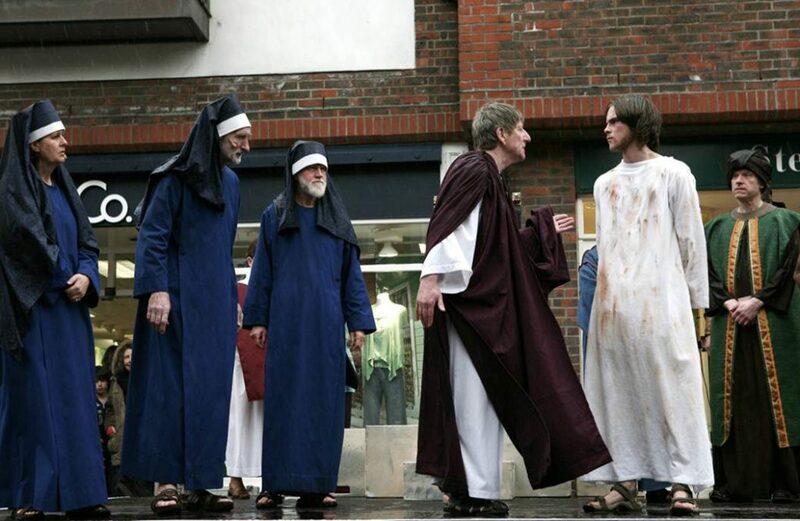 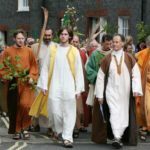 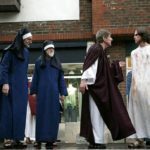 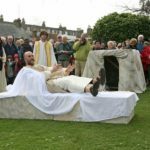 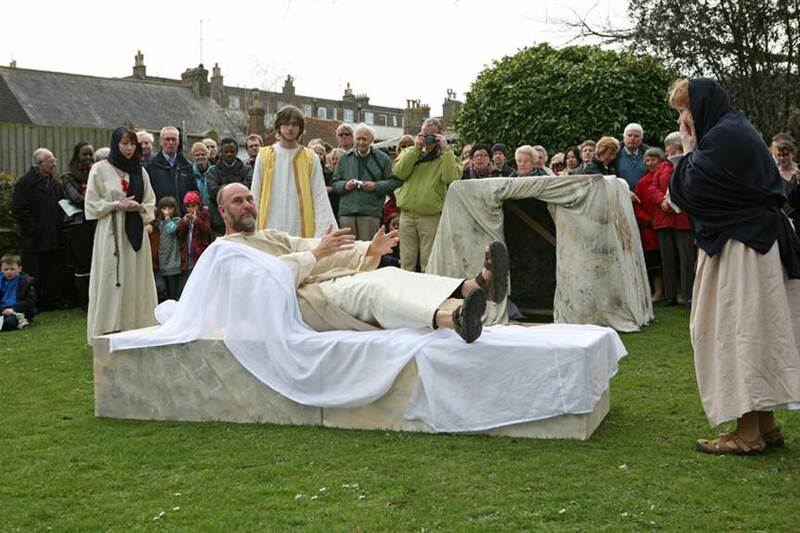 In Holy Week 2010, Lewes Passion Play presented the greatest dramatic events the world has ever seen – in the streets and gardens of the historic Sussex town of Lewes. 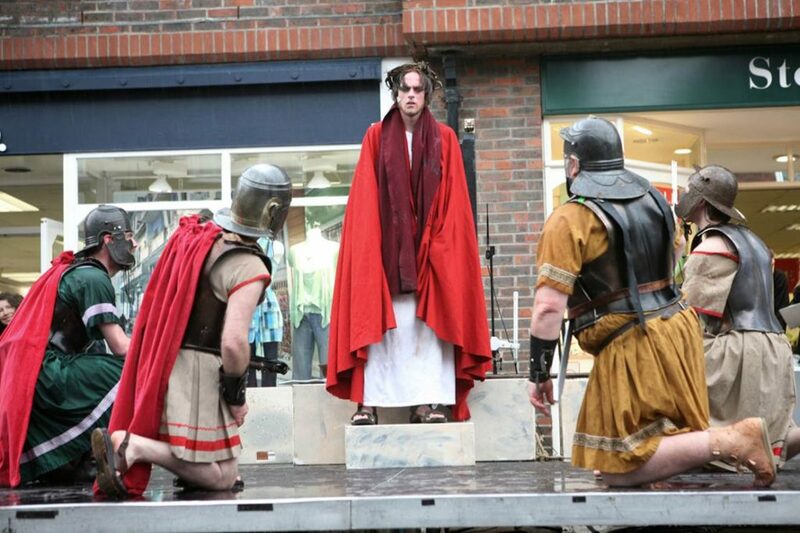 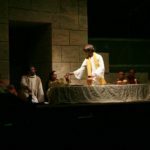 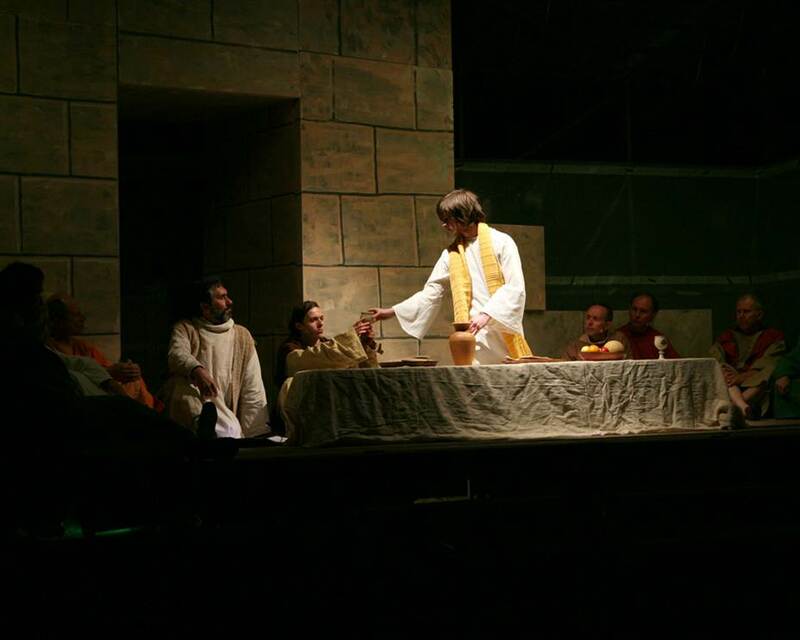 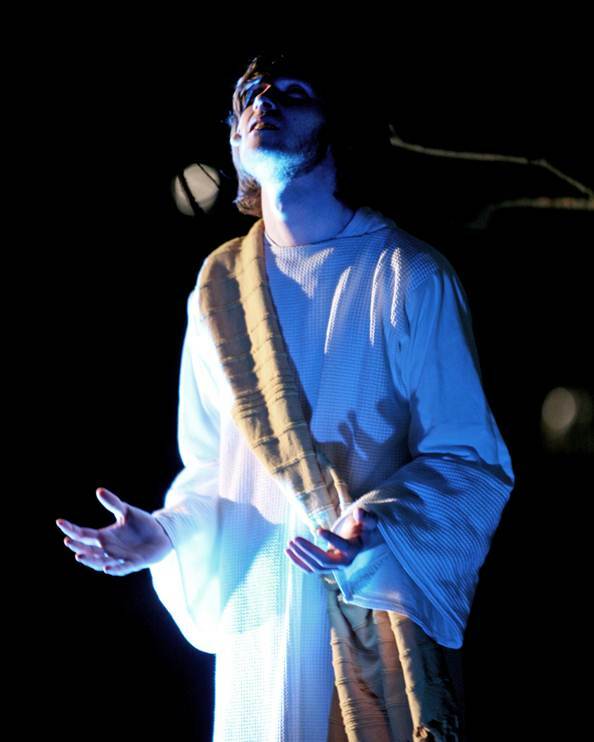 A Passion Play was first presented in 2000, and the group is looking towards – and fundraising for – a future event in 2015. 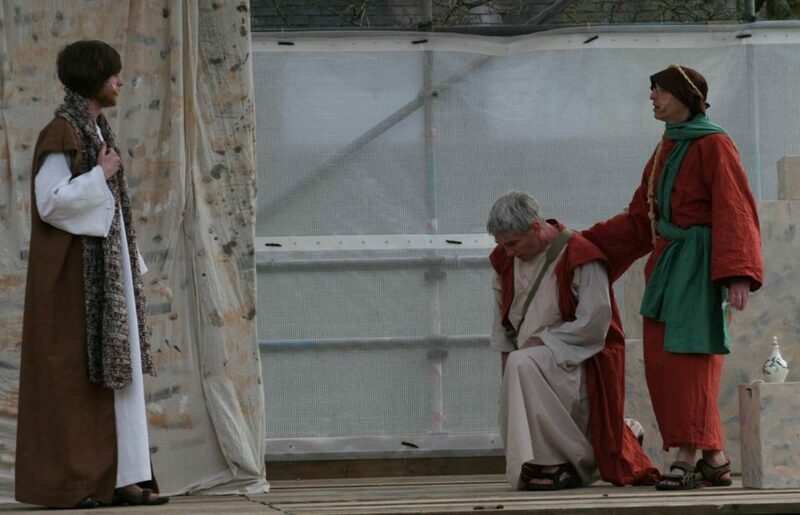 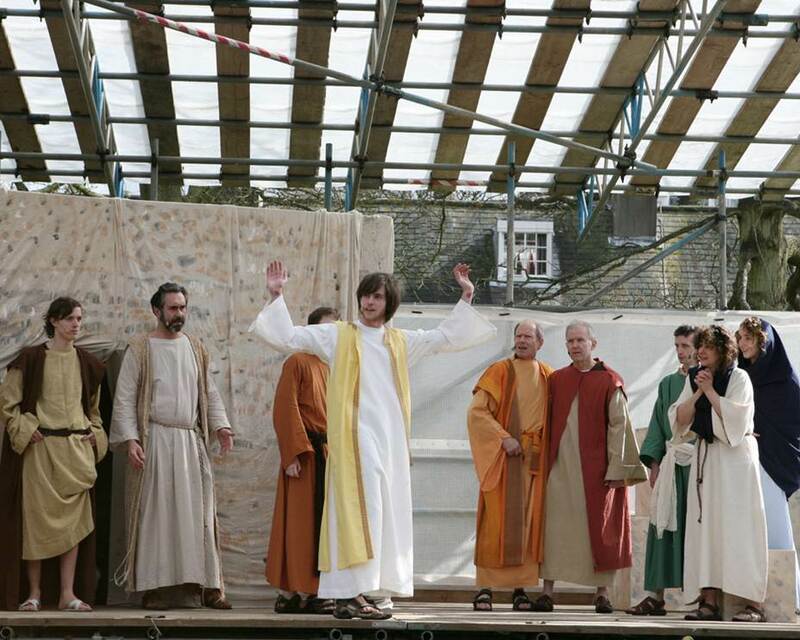 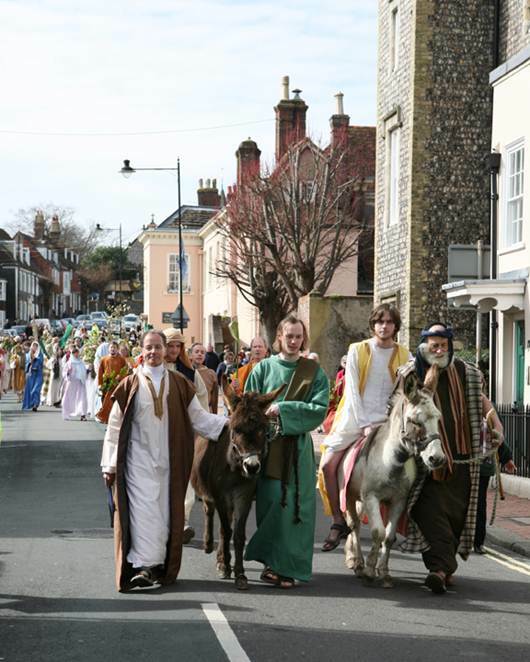 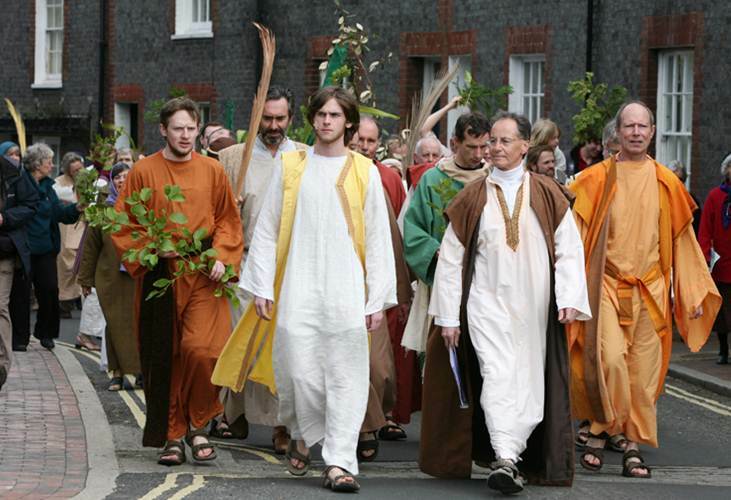 There are regular events in and around Lewes linked to the Passion Play or organised by the Towards 2015 group.